And I am in a wheelchair. Those two things don't have a lot to do with each other. I'd like to think I'd be a librarian even if I was born with legs that worked and a body that does all I want. I've always loved to read, but maybe if things had been a little easier I would have become a teacher instead, because I love to engage with people, too. However... I'm fortunate that being a librarian is really about teaching anyway. It's about reaching out and imparting the love of reading and learning. As a librarian I visit classrooms and senior's homes with books and it gives me an outlet for that 'teacher' side of me. I know a lot about books and I have a degree in library science to prove it. 😉 But working in my library every day, talking to and watching people, running the Autumn Vale library has giving me a degree in people watching. And what I've learned is, what a person reads will tell you more about their heart than the words that come out of their mouths. 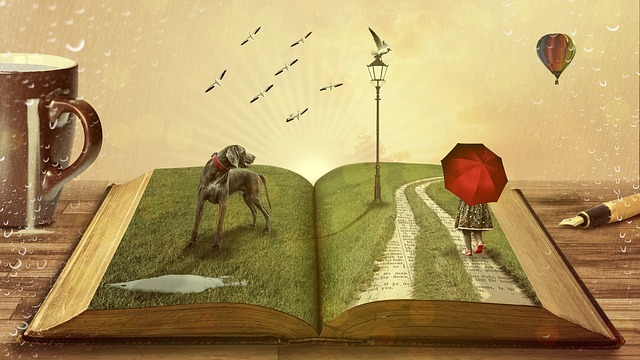 In our town I can point out the cynic who reads Chicken Soup for the Soul books; the old curmudgeon who likes tales of kids and baseball and the endless golden days of youth; the broken-hearted widow who reads tales of romance and dreams of love again. I see a different side of them through their book choices. And then there is Isadore Openshaw. I know what people see when they look at her. She's difficult, moody, and sullen. She shuns contact with people. She doesn't want 'charity' and she doesn't take kindly to pitying looks. She reads voraciously, everything I have and in no particular order. It took me a while, but I got to understand why. Isadore is one of those who doesn't 'get' people. Reading is a way, for her, of trying to understand and interpret the world around her. I hope I help, because I make sure she has a safe place to come where she can feel accepted - every human needs acceptance - and useful. Every human needs that too, to be useful, or at least all the best ones do. Isadore does a lot of tasks for me and helps me shelve the heavier books and the top shelf books. What I guess I'm saying is, in a cold and often cruel world, the library is a safe haven. Do you go to the library, and if so, is it mostly for the books, or do you use the other programs they offer? 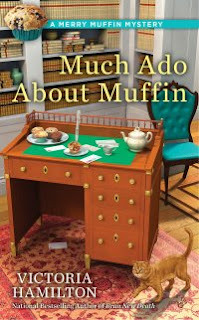 Today, I'm giving away a copy of Much Ado About Muffin. If you wish to enter and already have the book, I'm open to replacing it with another of my books, if I happen to have a copy available! Canadian and US entries only, please! Enter by Midnight, Monday, January 23rd. Include your first name in your comment/entry. Book 6 of the Vintage Kitchen Mysteries, Leave It To Cleaver, late spring 2017! Book 5 of the Merry Muffin Mysteries, Muffin To Fear, summer of 2017! I do love the library! I actually buy all my books, but I go there to use their free programs. I took a few classes for Photoshop. Very lucky we have wonderful library programs. I use the library often. I borrow some books, DVDs for my Dad and use some of the programs. I love the library but do not go often now. I do go for Books on DVD. I'm at the library often enough that the librarians pull my books off the hold shelf when they see me come in. 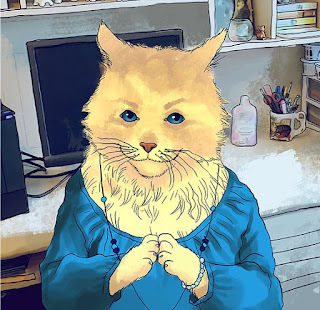 As a school librarian I love books with librarians as characters! When I was in junior high I walked to the public library on Saturdays and spent the afternoon reading in a chair in a quiet corner. Great memories. I have wonderful memories of my mother taking me and three sibling to the library just about once a week. I am a retired librarian now and active in our local Friends of the Library. I love both series by Victoria Hamilton. I look forward to reading these two new books. I love the library and use it a lot but it's different from going to the big library when I was a child. Now all of libraries are part of the county system so smaller. Reserving books on line is so simple. There are still programs available but mostly for the children so I don't attend anymore. Thanks for the giveaway. Enjoy all your series. I go to the library often. Mostly to check out books. When my son was younger we went for the children's programs but he has outgrown them now. In two years we will have a brand new library and I am so looking forward to that. I volunteered at school libraries and it's hard work. Keeping track of every book. Finding them when misplaced. I mostly use the library for books, but I also participate in some of the programs. I especially love the author events. What a marvelous ode to libraries! I use the app Overdrive to check books out from my library. Works from home and is really great. We have a wonderful public library here. I'm there all the time taking out books 📚 and attending workshops and events. Our libriarians are so friendly and extremely helpful. It's my happy place! I used to really adore libraries when I was a kid. I still do, but I find most of my reading materials through other means. I have a deed admiration for the specialty libraries, such as the Marion H. Skidmore Library in Lilydale, NY which houses the largest collection of Spiritualist books in the world! I thank God for the librarians and historians who save our written word daily! This is a great series by a favorite author...I am a retired teacher and love public and school libraries for all they provide beyond just checking out books. I also love bookmobiles! Now, I get my reading materials from Amazon, book sales, and friends...But, my favorite book lover is a librarian and we share wonderful stories. I haven't used my library for a long time. I was really put off several years ago when I took in several bags of brand new, unread, current best-seller books that I had won and they would only put them in the book sale for .25 - $1.00 each! As a child in the 40s/50s I was at our Carnegie library at least once a week. When my 3 boys were growing up we went every 2 weeks, taking along the neighbor kids, too. I love libraries! I spent a lot of time at the library growing up. My Mom loved to read and my sister and I both inherited her love of books. I don't go to the library much these days but I do like to go the library's book sales. Great post, I really enjoyed reading about the library. I love libraries. I use to work at one for fifteen years. I still use it all the time. Libraries are my friend. Love my library.and shared your post. Love reading cozy mysteries. I go for the books and movies. I love the library, always have! I don't go so much anymore because of my work schedule. Easier to just buy the books I want to read. I've read the #1 in the Merry Muffin series and searched through the library to see if they have any more of the series - with not much luck :( would love to win!!!! My library rocks really big time! Despite cutbacks our library system is an outreach center, a test taking space, the new downtown branch is beginning voTech for the refugee community. I love a library. I don't visit as often as I like because I have so many books on the kindle, as well as many in print I've bought at garage sales, goodwill, even stores. I've read the first few Merry Muffins mysteries and love them. I will continue to get them in print, because I want to keep them (where I can find them; books get lost in the many on kindle). I like Hannah. She's a favorite character, and smart. I adore libraries. I go to mine about 3 times a week. I love checking out real books and doing research at the library the old fashioned way. I cannot afford to buy books. I love the library for all that it offers and represents of our past and to those of us that love reading. My Mom taught us to speed read by challenging us at the library when we were little. so Libraries are near and dear to my heart. I've always loved the library. Some of my fondest moments when my children were young was weekly Story Time at our local library. No matter where we lived, when they were small, one of the first things we did while settling into our new neighborhood, was find the local library. I've worked at several libraries, mostly volunteering. Love being around books, Thanks for the chance to win. I do love the library, I don't go often enough. I love to take my kids to the library, I wish my mom had taken me as a child. It feels awesome, it smells like books, I love it. I have always loved libraries. Probably should have been a librarian, but life interfered - maybe in the next lifetime. I did work in a seminary library while I was there in school & a little afterwards & loved it! I love the library and taking my grandchildren there. I also borrow e-books from my library. Thank you for this chance. I worked at our local library as a custodian for 21 years.My goal was to make it a clean and safer place for the employees and the people who enjoy it. I also helped a little with the children's department. My boys thought it was great to be able to check out books and mom took them back when she went to work. And I could keep an eye out for the new books coming out for my favorite authors.Thanks for this opportunity. I'm a school librarian and my students know my favorite genre is mystery! Thanks fir a chance to win a copy of your book! I used to live in the library until they came out with Ereader's. I haven't been in one now in about 10 years. That is really sad because I love libraries. I'm going to have to make a trip to one next week. Just to smell that great smell of books. Thank you for this chance to win a book. spike5271943@aol.com. I go to the library for the books (print and e-book) and the occasional DVD. I am a retired librarian who loves to read about libraries and librarians. Thanks for the chance. I love books therefore I love libraries. I worked in the local library when I was in college. Best job ever!! I have always loved Libraries... it is some of my earliest memories going with my Grandmother...and the stack of books she would come home with which always included one or two for me...Love to read your book. Please enter me.